Our team combines shipping and port experts, commercial specialists and data analysts. We combine our deep industry expertise with our exceptional data on container services, container flows, tanker movements and commodity flows. Our breadth of experience and skills means we are equally skilled in delivering consultancy projects, due diligence reports, models or online data platforms. Download a copy of our credentials below. James Caldwell has more than 20 years’ maritime experience. He was General Manager for container line APL’s Portuguese organisation, building a cost-competitive operation in growing both volume and revenue performance exponentially. He has spent the last eight years as maritime advisor with Moffatt & Nichol and with Inchcape Shipping Services. James has led numerous advisory projects, market studies, business planning and due-dilligence for M&A, debt financing for ports and terminals globally. He also worked in Panama to manage a project investigating key trade routes and the economics of the canal transit versus alternatives and building a forecasting tool to predict future vessel transits post the expansion programme and inauguration of the new locks. Sam Williams is a maritime adviser and economist and leads ClipperMaritime’s analytical work. He has advised on projects across maritime, aviation, power and energy, with a track record of delivering maritime analysis that has informed multi-billion dollar investments. Sam’s develops data-led approaches to solving his clients’ biggest commercial problems. Sam and his team provide analysis of trade flows, forecasts, changes in vessel deployments, port and trade tariffs and operations to inform their decisions. In 2018 he has provided key analysis for due diligence of two separate major container terminal portfolios in North America, delivered a commercial analysis of a logistics operation on the River Thames and provided the specialist maritime advice on a project to support the UK Government’s Maritime 2050 program. Ed Dawson is an expert economic modeller, project manager and big data specialist. He has worked across maritime, trade, rail, aviation and road. Ed leads our economic modelling and forecasting. Ed brings best practice, experience and techniques from across sectors and organisations to our analysis team. He has developed our modelling QA framework, having led large scale quality assurance roles on highly detail-oriented projects. Recently he has applied these skills to forecasts for the GCT container terminal portfolio in North America and the global demand forecasts that feed our container products. Ed has also led much of our containerised shipping research, which seeks to provide data-driven solutions to complex economic and commercial problems faced by stakeholders across the industry. 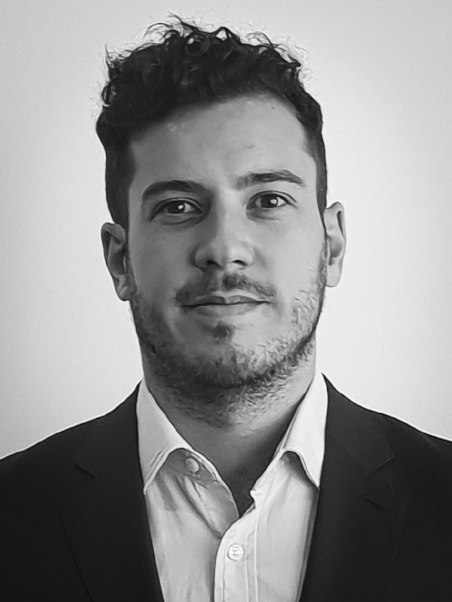 Baptiste Colmagro is an economist and data analyst specialising in commodities and vessel activity. He has developed products and tools to follow commodities market flows and has deployed these tools as interactive online platforms for clients. Baptiste leads the development of our tanker market analysis platform. He uses his exceptional data visualisation and business intelligence skills to explain clearly and effectively the activity in complex markets to non specialist audiences. Before ClipperMaritime, Baptiste worked as a data analyst at Inchcape Shipping Services and at Santander. Thanos is an analyst and an economic development specialist. He was previously employed as an economic researcher investigating the interrelation of financial developments with the industrial sector, with a focus on East Asia and the US. He specialises on conducting data-driven economic analysis and forecasting to build strong cases for future investment opportunities. He also provides insights on economic development and trade based on a political economy framework.